Greenville Triumph Soccer Club: Sporting colors of gradient green to signify the green landscapes of the Upstate, and the same navy blue that appears on the South Carolina state flag, Greenville Triumph play their home games at Legacy Early College near The Village of West Greenville. The Triumph compete in the United Soccer League (USL) League One. This will be the inaugural year of competition for the USL League One and the Triumph will play in the third-division of men’s professional league in the USSF soccer pyramid. Greenville Football Club competes in the National Premier Soccer League (NPSL) which attracts top amateur talent from around the United States, including college and former professional players. The difference: For someone who doesn’t follow or know too much about soccer, it can be moderately confusing. There’s a United States Soccer Federation (USSF) Soccer Pyramid which has three divisions that are recognized as professional. The other leagues and levels are defined as amateur. However, these amateur level leagues are still affiliated with the USSF pyramid and players can work their way up and into the three professional divisions. So to put it simply, the difference between Greenville Triumph and Greenville Football Club is professional vs. amateur... at least on paper. The Greenville Triumph kicks off their season on Mar. 29, with their first home game April 6. They’ll also play a game against Furman this Saturday. You can purchase tickets here. Greenville Football Club kicks off their season on May 4, with their first home game May 31. You can purchase tickets here. Where are you likely to be during a game? Piedmont Natural Gas Downtown Alive | 5:30 p.m. | NOMA Square | Free (food + drink available for purchase) | Featuring the Grateful Brothers + food truck One Love Fusion Foods. Full music lineup here. Impressionism – Ravel and Riesling | 5:15-6:15p.m. | Peace Center | Free | Enjoy an hour of classical music for free (wine available for purchase). Brunch & Learn: How to Write a Blog Post that Ranks And Drives Website | 8:30-9:30 a.m. | Engenius | 24 Vardy St | $5 | Learn blogging techniques over brunch. Golden Retriever Meetup | 6:30-7:30 p.m. | Noble Dog Hotel | Bring your golden for a playdate. Suddenly, we’re all Wofford fans; the Terriers are the only team from S.C. in the NCAA Tournament. The team takes on Seton Hall tonight at 9:40 p.m. on CBS, and you can bet we’ll be pulling for the Terriers from our couch. 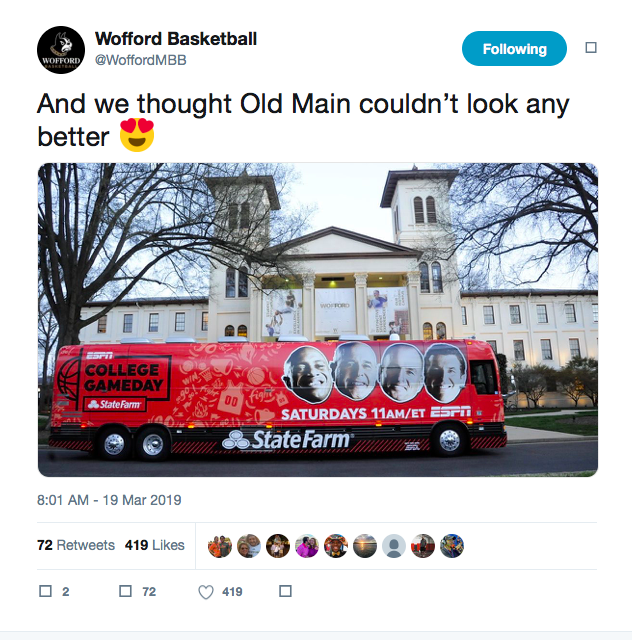 Wofford went undefeated in SoCon play, clenching the 2019 SoCon Championship title. #DYK that your photo could be featured in our newsletter? Just use #GVLtoday on social media. “I heard Charleston Sports Pub is coming to the old Wild Wing Cafe location downtown. Is that true?” – Reader Sam S. Know the answer? Hit reply to let us know. We’re hiring! 6AM City is looking for a Digital Media Sales Rep to join the family. If you thrive off of a fast-paced work environment and want to be part of a new era in local media, this job is for you. Learn more about the position here. For those unfamiliar with the fest, 20 local restaurants + bartenders compete for best taco, best cocktail and best sidekick (side dish/dessert) – all judged by a panel of influencers – while general admission attendees get 8 tequila cocktail tasting tokens + unlimited tacos to taste all the creations + cast your own vote. (VIP get 10 tokens and an extra hour at the fest.) Proceeds will benefit The Culinary Institute of The Carolinas at Greenville Technical College. To top it all off (like guac, but not extra), there will be entertainment like Lucha Libre Wrestling, DJ Kel, painting + games to play in between your snacks and sips. Note: This event is 21+. 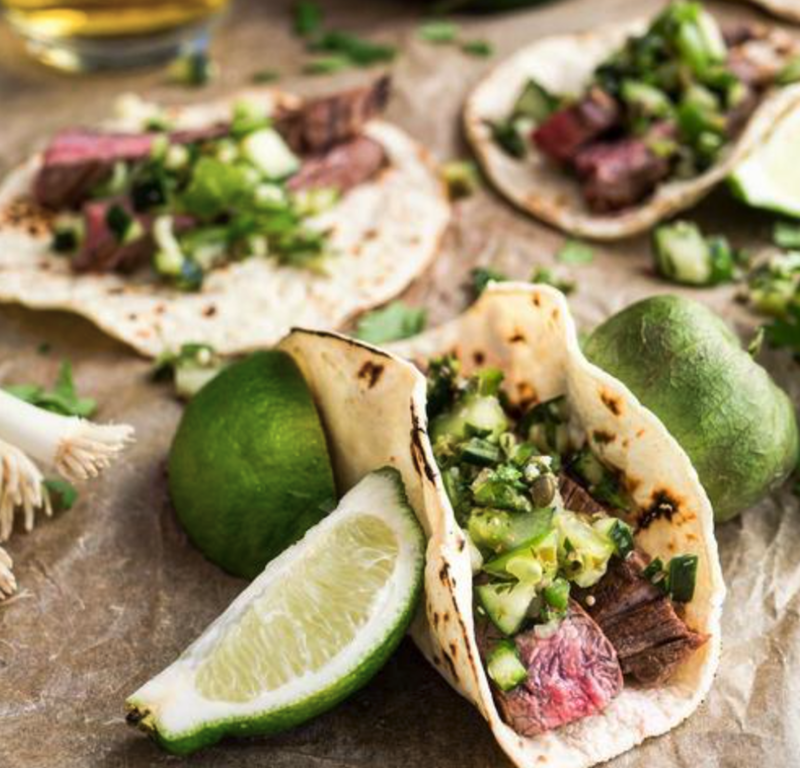 Pro Tips: Tag us in all your pics with #GVLtoday, enjoy responsibly, and let the good times (and tacos) roll. Ⓟ This content was created in partnership with Tacos ‘N Tequila Fiesta. ⏩ If you loved today's newsletter, share it with a friend. 🔄 Catch up on any newsletters you may have missed here. 💭 Say Hello: What do you want to know about your city? ✏️️ Want to write an article for us? Find out how here. 👀 Want your business featured in our newsletter? Learn more about advertising opportunities here. Did a friend forward this to you? It can be in your inbox tomorrow a.m.
Disclaimer: Content marked with a Ⓟ is representative of our advertising partners. 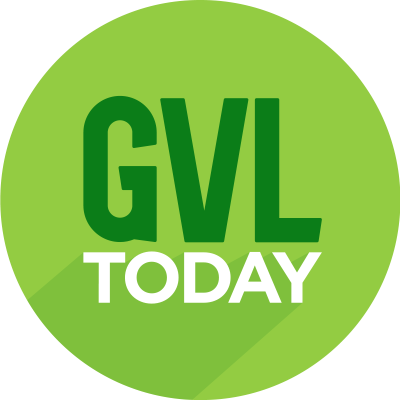 Want to receive GVLtoday once a week instead? Update your preferences here. Never want to hear from us again? Break our hearts by unsubscribing here. Copyright © 6AM City, LLC, all rights reserved. Legal.